For the moment, it’s financial crisis time again in the land of tango, which means this is suddenly a great time to travel Argentina on the cheap. It was less than a year ago when I returned from Argentina and lamented that the country had become too pricey for me to recommend to budget travelers anymore. It was still a wonderful place worth visiting for a long list of reasons, but I and the other travelers I talked to were surprised at how much they were spending for meals, hotels, transportation, and attractions. This is a country that regularly lurches from crisis to calm to disaster again, so it’s often just a matter of waiting around long enough for an opportunity. That time is now. If you study the history of Argentina, it’s a fascinating study of a people who seem pre-determined to not let a good thing last. Just when they start to head down the right economic path and are prospering, they somehow self-sabotage themselves and go into a financial nosedive that lasts for years. If you look at a long-term chart of their currency, their economic output, their interest rates, or inflation, they all bounce around like a yo-yo, seldom sustaining any long-term upward trend. Let’s just look at the currency one since that has the most impact on tourism visitors. Here’s what has happened to the Argentine peso against the dollar in the past year. Well, ask an economist that and they’ll have plenty of answers. You can find them summarized in this Reuters article if you want to dig in and see some ugly charts. In short, the peso was overvalued, the dollar gained strength, inflation has been high, and there was a terrible drought this year that walloped the agriculture sector. The current president–unlike the last one—has wide respect among economists. He has made some smart moves, like boosting tourism by getting rid of the reciprocal visa fee and getting rid of a dual currency exchange system that made people turn to the black market. He has also lifted import restrictions that were stifling international trade. One guy can only do so much though in the world capital of melancholy and the people of Argentina just seem more comfortable in crisis mode than prosperity mode. That’s their “return to the mean,” how they get back to a natural state. Is Argentina a Travel Deal Now? There are two factors keeping this country from being a fire-sale bargain: flight prices and hotel prices. Both these services are priced in dollars more often than not, so you’re not suddenly going to find cheap flights to the other side of the world or a Four Seasons for a hundred bucks. You can check flight prices on Skyscanner and see, but they look to be similar to what I saw a year ago. If you search hotel prices on Trivago, you find decent deals, but not blowout ones. Being priced in dollars, they’re only a tad less than they were a year ago. Most in Buenos Aires are in the $50 to $200 range. 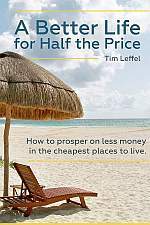 Where you will really get a deal is 1) budget hotels that were priced in pesos and 2) AirBnB rentals. I paid $50 a night for a studio apartment AirBnB a year ago in Salta. Now the average price in the entire city is $38, including some full apartments under $30. There are a crazy 600+ of them available in that city alone. When I searched Mendoza with random dates for this October, the average price was just $41. There were hundreds of choices, most of them full apartments. What Is Priced for Locals in Argentina? Where you’re really going to find the bargains right now in Argentina is in goods and services that are priced for locals, especially the ones that don’t require any imported materials. Goods: meals in local restaurants, drinks in bars that aren’t in tourist hotels, bottles of wine from local producers, Argentine beer, local fruit and vegetables, local beef, museum admissions, and non-imported souvenirs. Services: taxi rides, bus rides, haircuts, guides, local excursions, attraction admissions, or tk. You may find a decrease in local flight prices, though keep in mind they’re still paying international prices for jet fuel. When an exchange rate has gone from 17 to 37 in less than a year, there’s no way for business owners to raise prices accordingly for locals because wages haven’t risen at the same rate. So it’s not a direct ratio in the drop, but that $10 meal and $150 cross-country lie-flat bus ride have dropped to $4.50 and $65 instead. The taxi ride prices have dropped by more than half. That $12 great bottle of wine might be found for $5 in a supermarket. If you can be a slow traveler there and really spend some time in the country, you may find Argentina to be the best travel value you have experienced in a while. For now it’s suddenly back on the list of the cheapest places to live in the world. If you want to extend your visa after three months, just pop across the border to Chile or Uruguay and come back. Then you have another three months. Right now, this would be a terrific base for a digital nomad, either in buzzing Buenos Aires, more laid-back Mendoza, or chilling out by a lake in Patagonia. Have you been to Argentina recently? Tell us how it went! Want to receive blog post updates by e-mail? Get on the list here. Really good post. I’m betting with the economic issues it would fairly easy to negotiate a great monthly rate on a nice Airbnb right now. Argentina is the best place for tourism. The people is very kind heart. We can spend lot of money there. Thanks for sharing about Argentina. When we set out a year ago after retirement we were looking for a expat place to live for 1/2 price. Now it’s evolving into more of short/medium time stops at interesting destinations, playing currency arbitrage. Because for us the world is to big a place and our wanderlust needs to be slaked. We were in Argentina two currency crisis ago. At the time we couldn’t figure out why hotels were so darn expensive(Airbnb didn’t exist then). Thanks for explaining it. We did eat lots of great beef and drink lots of great wine though, staring in disbelief every time we got the check. Maybe it’s time to revisit this winter. I’m going to be doing some of that myself in the coming years. It does allow you to pounce on short-term opportunities. Argentina’s economic problems can be directly linked to the inference or should I say (and we complain about Russia messing with US electronics, pot meet kettle) support of right wing candidates and undermining of left wing politics. 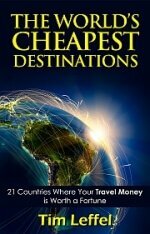 That is what makes traveling throughout South America affordable for the average American. This shouldn’t be off topic but apart of the overall discussion about economic arbarage. According to a group of people who spends much of their time in Argentina it’s not quite the travel bargain it was in the late 90’s/early 00’s. Thanks for noting the true economic reality. I am a bit sad that the privileged tend to ignore the down sides of cheap travel. I tend to be more discerning and keep an eye on how governments are behaving before I choose where to spend my tourist dollar. This can make sense, but don’t forget that often more than 50% of the people don’t support the current government and/or didn’t vote for it. They just got stuck with an idiot due to some power cheat or some outdated rule like the Electoral College. Argentina is buckling under the weight of past economic sins that have caught up with the country, not current ones.